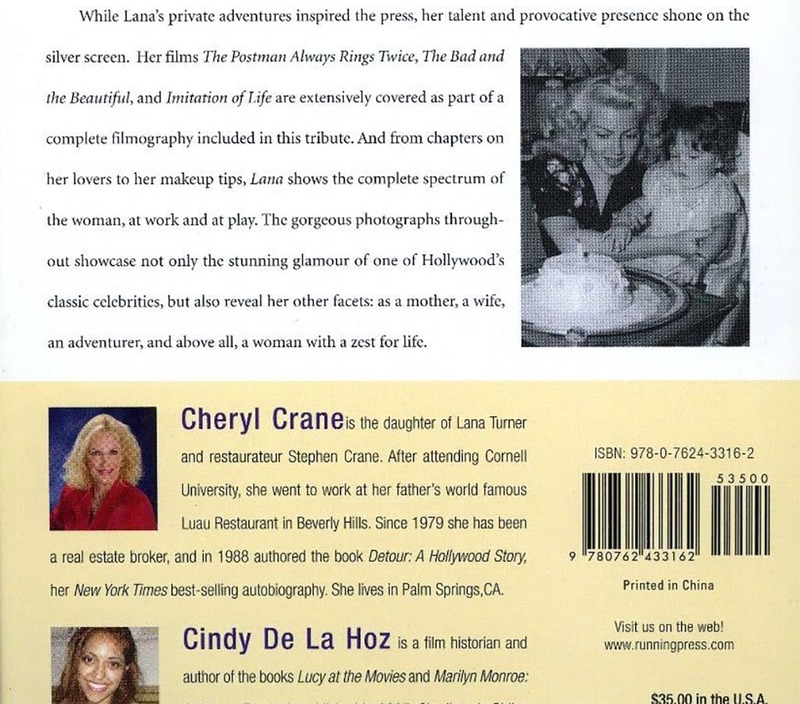 This is the second book that Cheryl Crane, Lana Turner’s daughter, wrote about her mother. 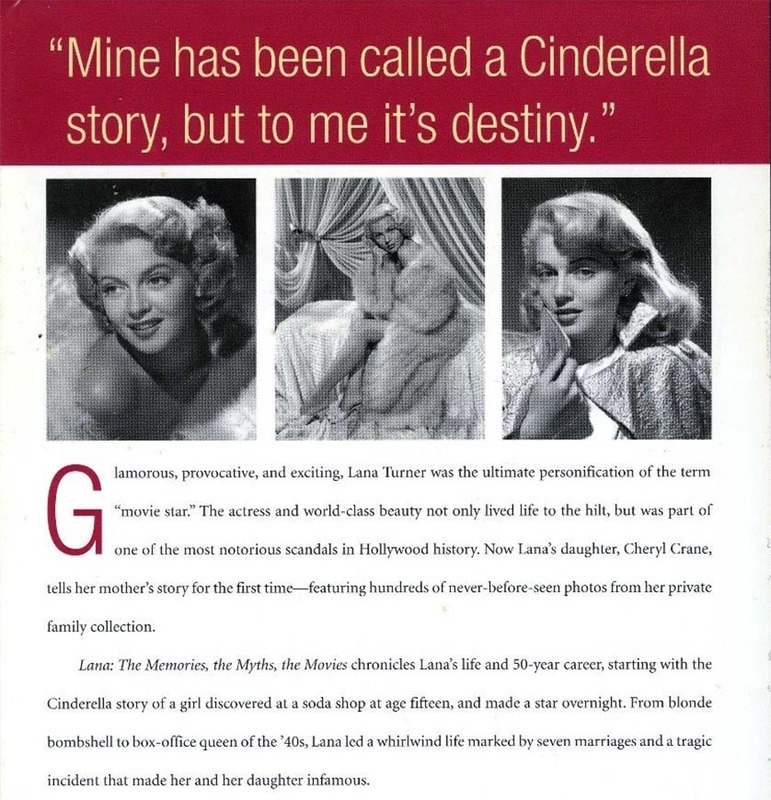 The first one was “Detour, A Hollywood Story”, that was released in 1988. A large book with lots of gorgeous photos and a detailed description of Lana’s life. 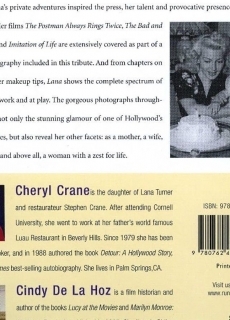 Cheryl describes everything there is to know about Lana’s friends, lovers and husbands. She also describes every movie in which Lana starred. And the radio-, tv- and theatre performances. With lots of never before seen photos. I love it! The only thing that bothered me was, that she left out Taylor Pero, Lana’s secretary and lover from 1969 till 1979 and Eric Root, Lana’s hairdresser and lover from 1980 till 1994. She writes about Lana’s husbands and the most important lovers, but she left out these two. Cheryl and these two probably didn’t get along. 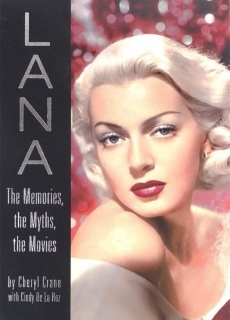 Cindy De La Hoz is a film historian and author. You can find copies on Ebay.